Due to the atypical pattern of sea ice melt on Hudson Bay this year, 2015 will definitely be a later than average breakup year – perhaps not as late as 1992 but maybe almost as late as 2009. Easing into the first days of Arctic summer, there is still a lot of polar bear habitat left on Hudson Bay, especially in the east. Although official breakup in 2009 was only a little later than usual (9 July), bears came ashore about the same time (after mid-August) as they did in 1992, when breakup was very late (30 July). With the pattern this year being so unusual (and the melt so slow over the last few weeks), who knows how late it could be before the last bears leave the ice in 2015? There is definitely more sea ice this year on the bay than there was last year, when breakup was about average for the last 24 years. UPDATE 2 July 2015: CIS weekly ice coverage graphs added to the end of this post. Hudson Bay ice highest since 2009 and Davis Strait highest since 1994! Have a look. 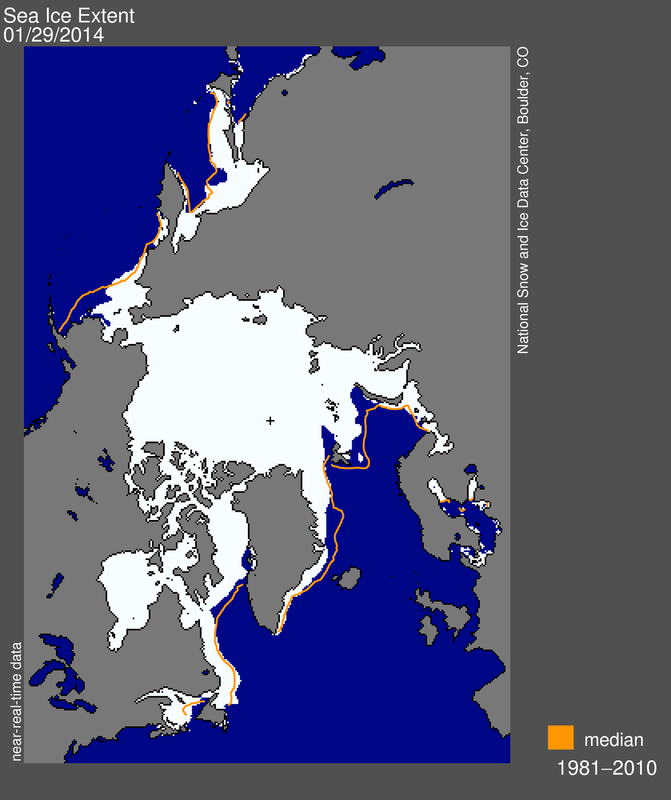 Preferred polar bear habitat is said to be 50% concentration or higher over continental shelves, which describes all but the fringes of sea ice extent today, including Hudson Bay, the Southern Beaufort, and the Barents Sea. 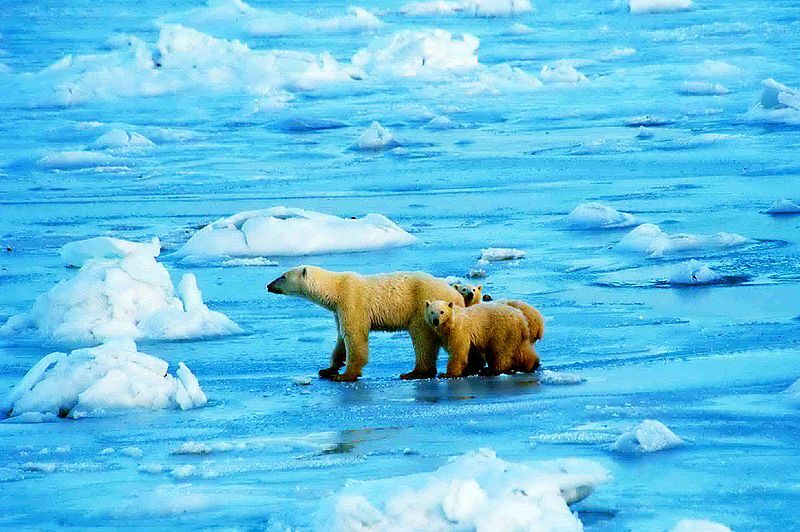 However, polar bears – excellent swimmers that they are – are quite capable of utilizing areas with 15-50% sea ice concentration if necessary (Durner et al. 2004; Rode et al. 2014:79), especially when prey are plentiful. 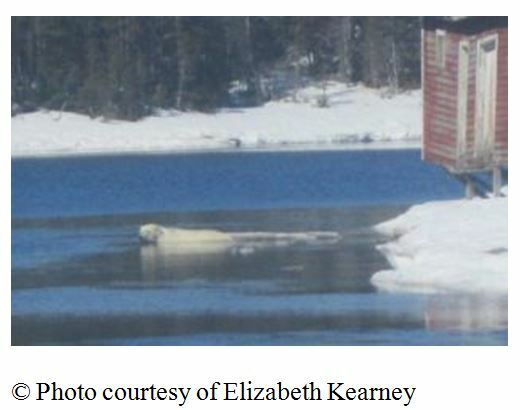 This would account for the fact that there are still sightings of polar bears in and around northern Newfoundland (see previous post here and photo below1), where ice concentration is in the 30-50% range. Posted on November 4, 2014 | Comments Off on Polar bear habitat update: what a difference a year makes to sea ice coverage in Canada! There is far more ice — and far more concentrated ice — in Canada this year than on this day last year. 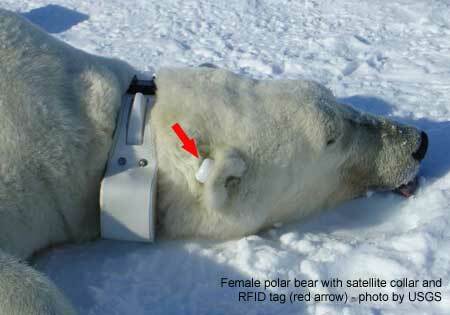 That’s good news for most polar bear populations. I’ve made a composite 2014/2013 ice map for 4 November that tells the story (courtesy daily Canadian Ice Service sea ice maps). 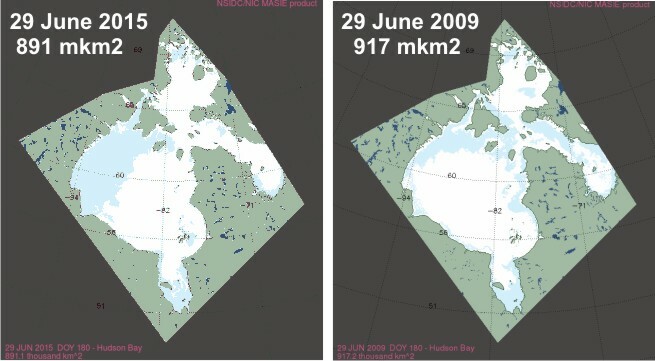 Comments Off on Polar bear habitat update: what a difference a year makes to sea ice coverage in Canada! Here are two more priceless quotes from the minutes of the last meeting of the IUCN Polar Bear Specialist Group (PBSG) – on issues with sea ice percentages used to define “ice-free” and the problem of bears with collars showing up on sea ice that, according to ice data, does not exist. These quotes are in addition to the ones I posted earlier this week (here and here). See the original document for the context here. 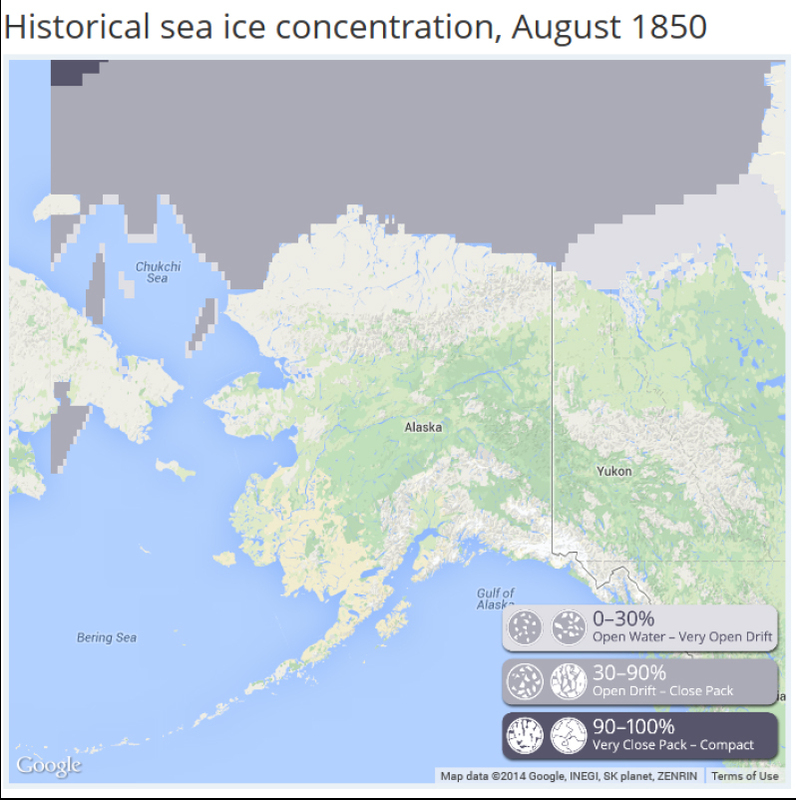 It’s here – as promised and right on schedule — the sea ice atlas put together by University of Alaska Fairbanks (UAF) now has ice concentration maps for Alaska going back to 1850 — and for every year up to 2013. Several examples are included below: August 1850 vs August 1870, and April 1850 vs. April 1920 and April 2012. For background, see my post announcing the site preview, which was then limited to 1953-2012 data, when it became available in late January. Sea ice in the Arctic a bit below the 1981-2010 average for this date but still within two standard deviations, with more ice than average off Canada — indicating we are still within expected natural variation, statistically speaking. Ice maps below, click to enlarge. Figure 1. Sea ice and lake ice concentration from the Canadian Ice Service (CIS) for 31 January, 2014. Note the amount of ice in the east, off Labrador (the “Davis Strait” polar bear subpopulation). Figure 2. 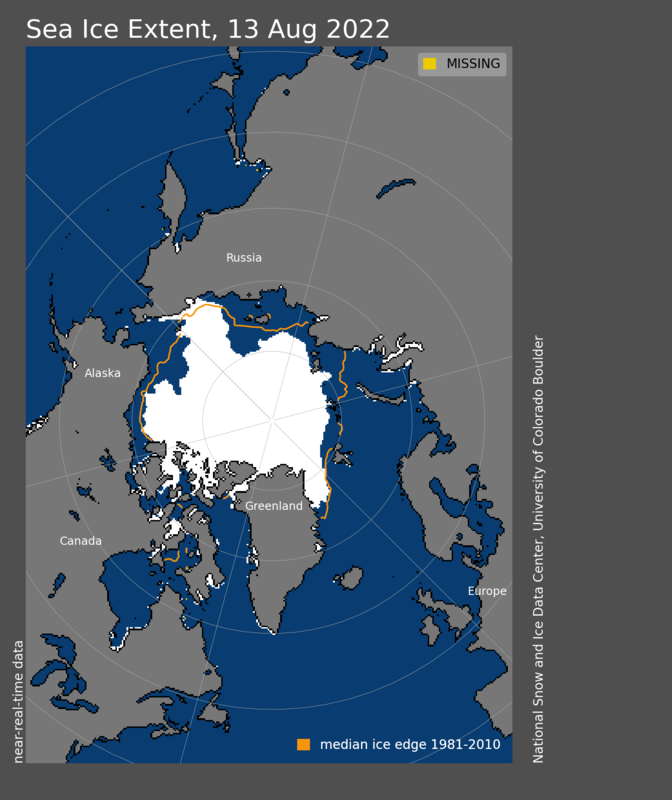 Sea ice extent from the National Snow and Ice Data Center (NSIDC) for 29 January 2014. Note that the extent of ice in eastern Canada noted in Fig. 1 is slightly more than the 1981-2010 average (the orange line), while other areas have slightly less than average for this date. Compare ice growth over the last month to Fig. 3 below. 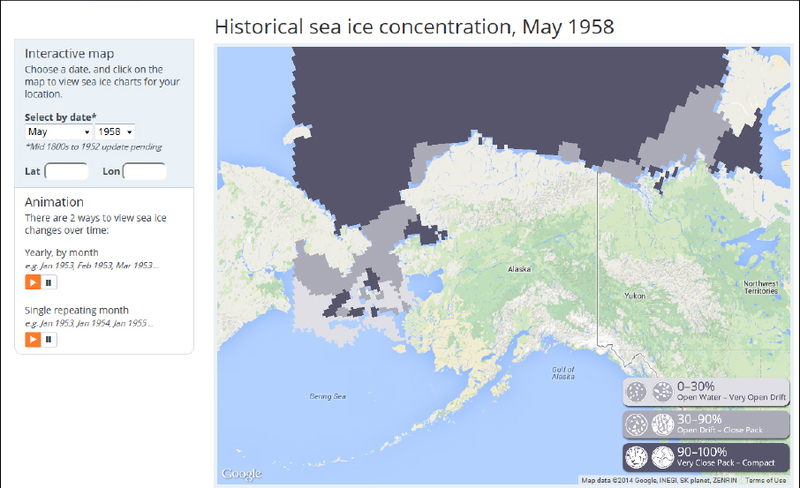 University of Alaska Fairbanks (UAF) is offering a new interactive sea ice map (which they call an atlas), that looks interesting and potentially useful, announced at Alaska Dispatch over the weekend (January 25, 2014: “New sea ice map offers a long-term look at climate change”). At the moment, the years and months available include January 1953 to December 2012. Oddly, 2013 data is not included. 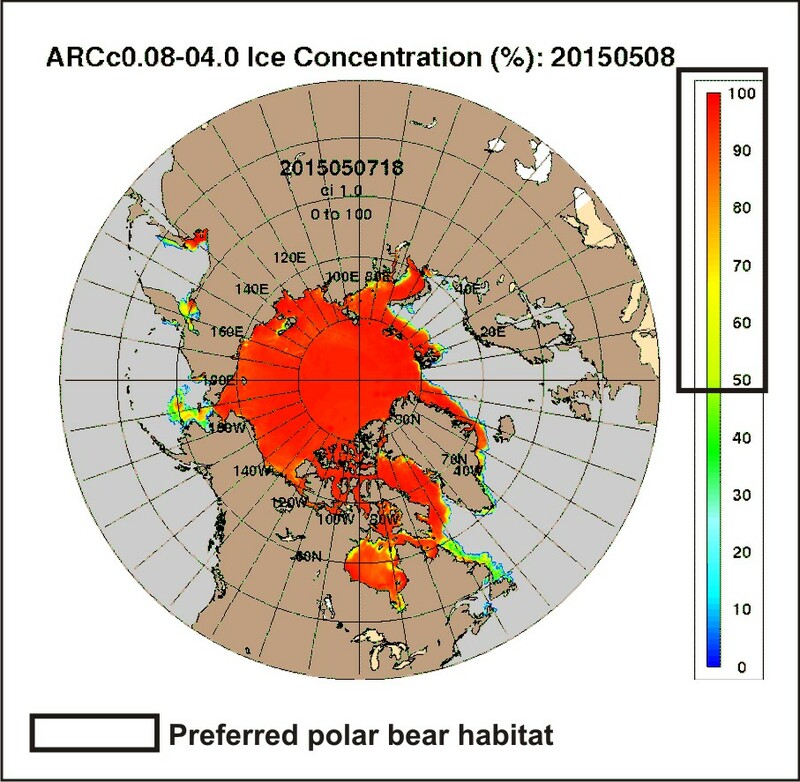 The sea ice atlas charts polar bear habitat for the Southern Beaufort and Chukchi Sea subpopulations (including the Bering Sea), as well as the western portion of the Northern Beaufort Sea subpopulation region.